You need to leave Włocławek along the right side of Vistula towards the west, and then according to road signs head for Bobrowniki. In the village you ought to drive down the main road all the time, pass through the market place and past it turn right on Czernikowo. After covering about 200-300m you should turn left towards the country road and drive down it up to the very castle. 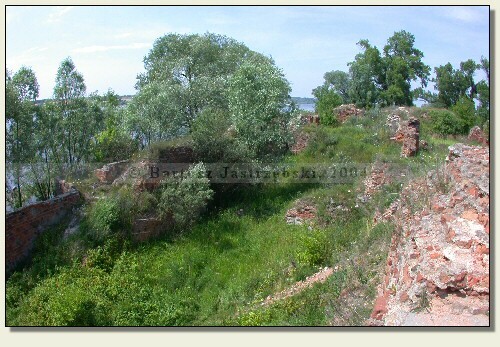 The origin of the castle standing on the right bank of the Vistula is not completely known. 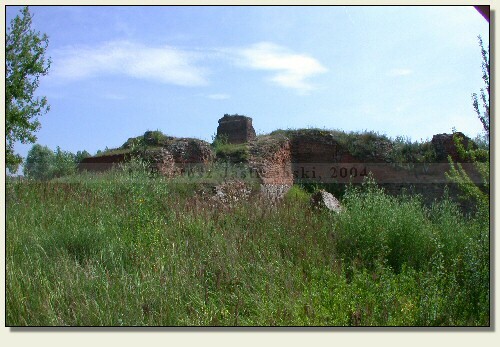 Some sources ascribe its building to the Teutonic Knights in the years of 1392-1404, while the other ones to the duke Władysław of Dobrzyń in the middle of the XIVth cent. 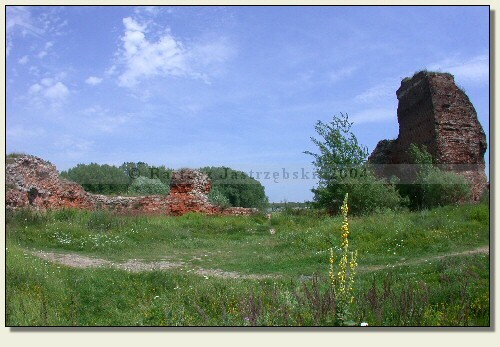 It is certain that in the years of 1409-1411 the castle was in hands of the Teutonic Knights, and after ending the great war with the Order became a polish border stronghold with the Teutonic country. 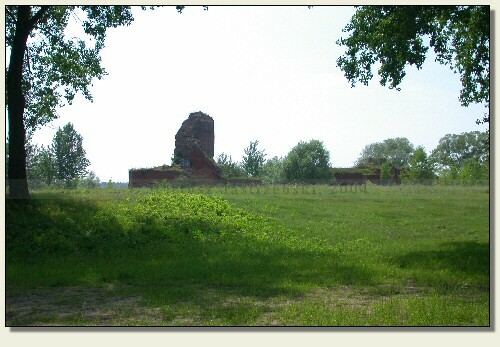 By the order of Władysław Jagiełło the castle became very extended, however already in 1466 diminished in its military importance and became the seat of the starost. The castle was being repeatedly destroyed. In the first place for unknowns reasons in the years of 1627-1628 the main building of the castle was devoid of the roof, and then became devastated by the Swedes. In the second half of the XVIII cent. was already so destroyed that it was not even suitable for the warehouse of records of proceedings, and in the XIXth cent. the part of the castle was disassembled. 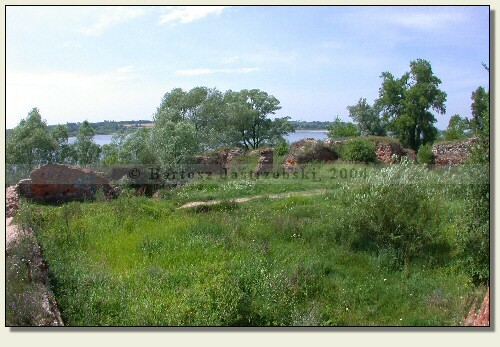 Till 1820 the stronghold was situated on the right bank of the Vistula. 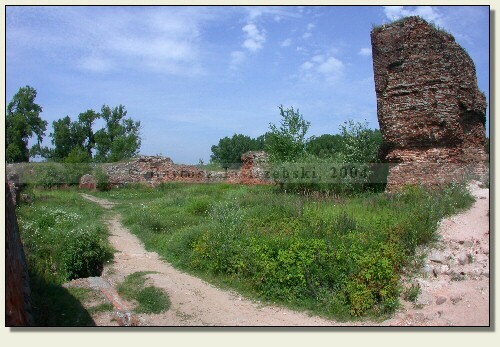 Later the river created the arm, cutting off the castle from the land. In that way it became to be on the island. 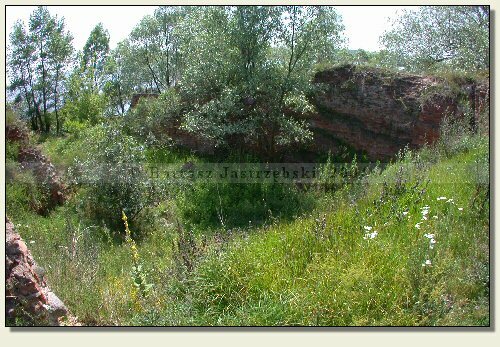 The building "returned" onto the land at the beginning of the 80s of the XXth cent., when the wild arm of the river was filled up. 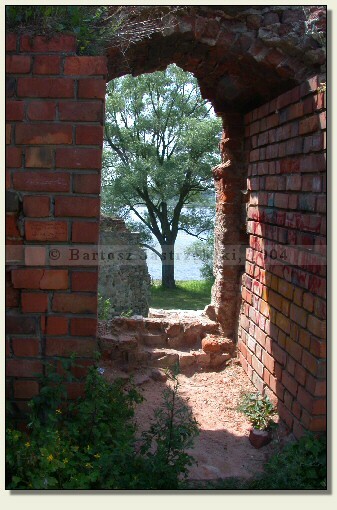 Up to this day, however, walls are in danger of the floodings of the Vistula.